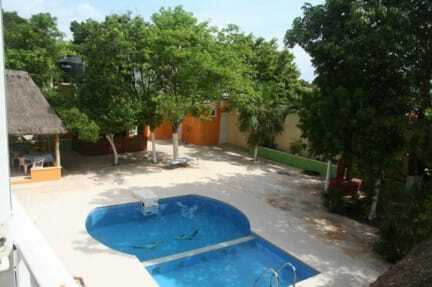 Located outside the tourist driven madness of Playa del Carmen, Hacienda del Sol provides the best of both worlds. Live among the locals with local prices. Save on drinks and food with a variety of local establishments within walking distance. When you’re ready for the craziness of Playa or just want to hang at the beach, take one of our bikes, for free! Or take a 5 peso, 7 minute colectivo ride straight into the heart of Playa’s party zone. Feeling lazy? Lounge by our pool, or under one of our two breezy cabanas and enjoy a beer. A relaxed environment only minutes away from the infamous 5th avenue. 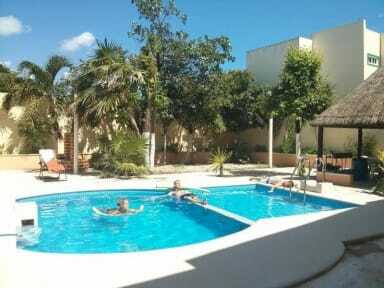 Here at Hacienda del Sol we have 3 lovely dorms, 4 Deluxe privates and a Quad private. Our dorms are bright, spotlessly clean and spacious. All include comfy beds with fresh linen, personal power points and security lockers. They all have fans or AC is available for a small fee.